Email newsletters have long been an essential distribution channel for publishers, but new engagement strategies are evolving to help publishers stand out in a crowded inbox and build an enthusiastic readership. The Wall Street Journal’s Head of Product for Newsletters Annemarie Dooling led a discussion among news audience engagement and product professionals from a dozen publications about the ways in which publishers are keeping readers engaged after they’ve left the inbox. The tactics the conversation surfaced for encouraging engagement through the inbox are diverse, and depend on reshaping the newsletter from a one-to-many medium into a one-to-one conversation. 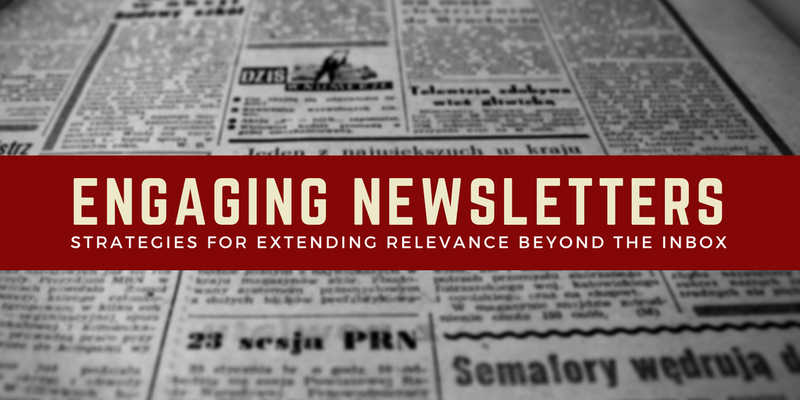 By redefining success through meaningful interactions with readers, newsletter editors are building stronger communities of engaged audiences that support the business models powering journalism. The discussion was convened on August 14 by Tow-Knight Center at CUNY’s Craig Newmark Graduate School of Journalism for members of its news Audience and Product communities of practice, which bring together journalists working to develop bigger, more engaged audiences and compelling products for a variety of global, national, and innovative niche publishers. To allow community members to speak openly, the discussion was held under Chatham House rule, which permits participants to share what was said, but not who said it or the publications they represent. Publishers on the call shared experiences using newsletters to drive the growth of other off-platform communities. One digital-native publisher is growing a subreddit where members discuss the contents of its newsletter; similarly, several newsletters are supported by Facebook Groups. In these cases, the communities not only discuss the newsletter, but also serve as places to promote related content from these publishers and generate ideas and content for future newsletters. Motivating people to get away from their desks and devices might seem counterintuitive for a publisher, but getting readers to perform some action with your brand in mind will galvanize excitement for the next newsletter. One publisher challenged subscribers of a dedicated newsletter to complete an offline activity each week; approximately 40 percent of readers completed all the challenges, and their engagement fueled growth of a corresponding Facebook Group. You don’t have to push people to groups, forums, or comments to have a conversation with readers. Banish the no-reply@ email addresses and use a real e-mail address. Email editors are making more frequent use of explicit question prompts or invite feedback. Subscriber responses can be used as content in future newsletters, pushing the conversation forward. Other approaches shared by discussion participants include polls to collect bulk responses, or running a quiz in which an email autoresponder will send the answers to those who join in by replying. Curated email digests remain a staple for news publishers, but these can be made more engaging by giving readers an opportunity to continue following stories outside of the newsletter. A global publisher with several newsletters uses its daily digest as an entry point to other newsletters and notifications. After summarizing a story, it includes subscribe links to allow one to follow that topic over time. “You may be done with [the digest] for the day, but if we can get you to have an interest in a particular story, or a writer or editor, you can follow them across multiple properties and you can always be connected to that story,” the participant said. Notably, the subscribe link automatically subscribes that user to the relevant list when clicked, keeping the reader’s level of effort low. New metrics of success should be tied to the purpose of the newsletter. Was there a corresponding increase in an associated group’s membership? If it was a part of a series, what was the completion rate? How many participants responded to a callout for feedback, or signed up to another newsletter? These numbers might be smaller than an open rate, but they’re concrete and reflect deeper and more valuable relationships with the audience. When a newsletter outlives its audience’s interest, it might be time to move them on to other things. On newsletters for which open rates had plummeted and were to be retired, one discussion participant shared their team’s success sending a targeted message to any reader who had opened that newsletter even once within the past year. The message offered related newsletters, and in the first send had an open rate of approximately 50 percent, with somewhere between 20 and 40 percent clicking through to another newsletter. Creating engaging, interactive newsletters can require more resources, particularly if moderating conversations. So what’s the payoff? It depends on the newsletter, but discussion participants pointed to potential benefits in branding, deeper awareness of publishers’ offerings, forwarding behavior that benefits list growth, and — for those with advanced reader revenue models — a data point to understanding a reader’s likelihood to subscribe. Ned Berke is the Entrepreneur-in-Residence at the Tow-Knight Center for Entrepreneurial Journalism and does audience development for the Center for Cooperative Media. He can be reached at nedberke@gmail.com. Follow him on Twitter for more about growing and engaging audiences. If you are a journalist interested in collaborating with your peers to increase your professional impact and expertise — and theirs — the Tow-Knight Center’s Community of Practice program may be of interest. Please let us know by completing this form. This story is published in Noteworthy, where thousands come every day to learn about the people & ideas shaping the products we love. Follow our publication to see more product & design stories featured by the Journal team.